ABOUT - Ask and Receive, Inc. Ask and Receive, Inc. was founded in 1999. We specialize in web programming, design, hosting, search engine optimization, and social media marketing. In addition, we are experts at providing logo and graphic design, brochures, customized spreadsheets, along with many other services. We are known for our creative attention to detail in assisting clients to achieve maximum results. We love working with non-profits and are Registered Fund Raising Counsel with the SC Secretary of State. Our web design services range from basic to complex depending on your needs. Sites include responsive/mobile friendly layouts and content management (cms). We have you covered for custom forms with linked databases, landing pages for tracking advertising, custom 404 pages, video, live chat, e-commerce, multiple language sites, Pay-Per-Click (PPC) Marketing, Handicap Accessible pages (508) and more. Our hosting packages include monthly updates so your site can always be current. We cater to individuals and companies located in Upstate SC and beyond. Our top priority is (and will always be) customer satisfaction. Please see our Services page for more listings or contact us to learn more about how we can help you. We were recently featured in the UpstateBizSC Entrepreneurial Minute. 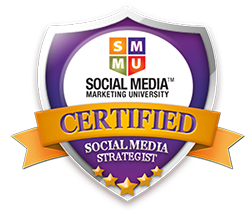 Owner and Founder, Stacey Bevill, holds many web and graphic, advanced SEO and social media related certifications in addition to being a Microsoft Master Instructor. Stacey is an active volunteer and was awarded the Rotary International District Service Above Self award. 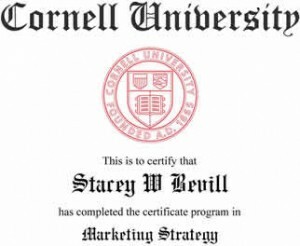 Stacey has a master’s level certification in Marketing Strategy from Cornell and the Fran Tarkenton master’s level certification in Entrepreneurship from the Terry School of Business at the University of GA. She also has a bachelor’s degree from Lander University. She is a graduate of Leadership South Carolina, Leadership Spartanburg, Spartanburg County Foundation’s Grass Roots Leadership Development Institute, the Spartanburg Citizen’s Police Academy and the Women’s Campaign School at Yale.